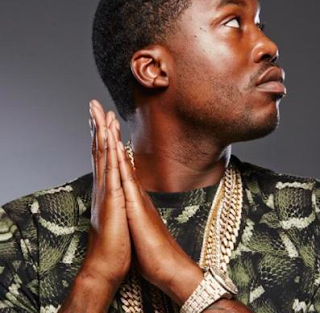 After almost six months behind bars, Philly rapper Meek Mill is a free man. On Tuesday, Pennsylvania's Supreme Court ordered Mill to be released on bail, while he appeals his case. The case is a 2008 drugs and weapons case. He served 8 months in prison however probation seemed to linger over him. Fast forward to November 2017, when a judge sentenced Mill to 2-4 years for violating probation. Citing two arrests..one being a reckless driving charge while shooting a music video. Since Mill's November arrest, he garnered support from members of his community and in Hollywood; citing the country's unjust criminal justice system. Jay-Z wrote an Op-Ed piece for the New York Times on this matter. Rick Ross, T.I., comedian Kevin Hart, 76ers owner Micheal Rubin and others have all spoken out and hollered Free Meek! Close to 7pm, Tuesday evening, Mill bounced from the Pennsylvania State Prison in Chester and hopped on a helicopter. From there he was joined by Rubin and headed straight to the 76ers playoff game to ring the ceremonial bell. Once Mill was released the congratulations and well-wishes came pouring in.